When I decided to volunteer as an English teacher overseas, I had no idea that it was going to change my life forever. When I decided to volunteer as an English teacher overseas, I had no idea that it was going to change my life forever. At the end of my 14 months in South Korea, I returned home with a new relationship with God, a new perspective on life, and a beautiful fiancée! I did some research and discovered that the Seventh-day Adventist Church operates language schools in South Korea through which it works to share the gospel. I thought that it would be awesome to travel overseas, not just to teach English and explore a new country, but to be a missionary. I had no idea just how awesome it would be. South Koreans are eager to improve their English skills. They view English as the language of business and travel, and being fluent in English can be a catalyst for a better job and career. The students are eager to talk with you and to get to know you, and this presents many opportunities for sharing Jesus through what you say and how you live. In a nutshell, you arrive in South Korea, get some training, and are assigned to a language school where you immediately start teaching. But you’re also expected to promote and lead a Bible class and participate in a teacher-led Friday night service. The missionary team is handed a ripe mission field and basically told to “run this thing.” It’s because of this experience that I will never be satisfied being a pew warmer in church. I remember seeing the faces of adult students light up as they learned about the life, miracles, and character of Jesus for the first time in my Bible class. I had never experienced anything like it before. It’s a wonderful thing to see people doing research and coming to class with questions because they want to know the truth about this man named Jesus! I will never forget all the cherished people and experiences that God allowed to impact my life as a volunteer. I have no doubt that there were times that I made mistakes and could have been a better witness. But I pray that I will see my students in heaven and that we’ll sit back and talk about when our lives crossed in South Korea. 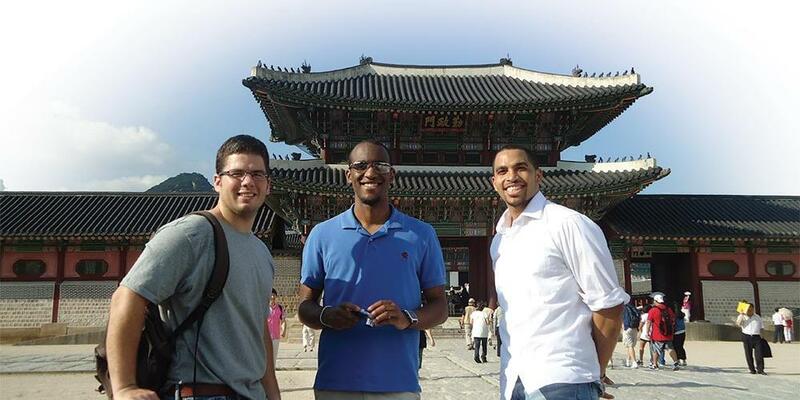 Originally from the United States, Jonathan Griffin volunteered in South Korea as an English as a second language teacher, where he met his future wife, Latasha, who was also volunteering. They currently live in Maryland, where Jonathan works at a CPA firm and Latasha is an elementary school teacher.